With over 20 years combined experience we guarantee you will not be disappointed with the training we provide. We ensure our courses (both theoretical and practical parts) are interesting, informative and enjoyable. Our team come from a fire service and/or medical background, and as such is able to provide high quality training. 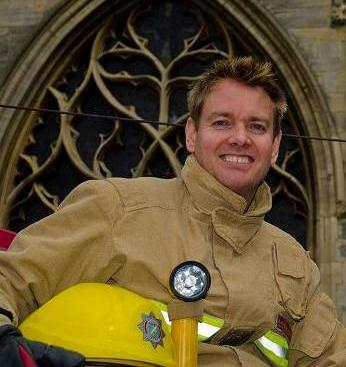 All fire courses are run by Peter Tremayne, who is currently serving as an operational fire fighter. As well as having up-to-date knowledge of the fire industry and current practices, Peter has extensive experience in providing fire safety training for dozens of local companies and their staff. We are an established company with an excellent reputation, being both professional and reliable. Our business has been built up on strong customer recommendations. We have full professional indemnity insurance up to £1,000,000 underwritten by HISCOX. So you can be sure that when you choose us, you will do so with confidence. Please feel free to contact us for an informal chat and to discuss your requirements.